Southampton is one of the UK’s best connected cities, not just by air and land but by water. Did you know that Southampton enjoys some of the cheapest flights out of its airport? It’s a great stopping off place between the South West and London, or even that you can take some highly impressive round-the-world cruises from the port in Southampton? With all this and more, you might be wondering how you can incorporate Southampton into your next getaway from the UK. If this sounds like you, read ahead! There are a plethora of cruise options from Southampton for those who are looking to getaway but want the luxury option of a cruise somewhere exciting. While the usual options include nearby mainland Europe for a period of several nights for a low cost of only a few hundred pounds, you can also go on a cruise from Southampton to numerous far-flung destinations such as the Mediterranean, Caribbean, or even round-the-world trips. With so many different cruises to choose from, it’s no wonder Southampton continues to be one of the most famous ports for would-be cruisers in the UK as well as abroad. Southampton, like many other cities in the UK is well serviced by a number of budget airlines offering fantastic deals on flights to mysterious, exotic locales including Morocco, Spain, France, Germany and more. With so many budget airlines servicing Southampton and connecting it with the world at large via numerous routes, it’s easy to see why Southampton’s airport is booming. Despite being small in size, it’s got everything one could need to get their holiday off on the right foot. It’s also a great location for those along the south coast as well as through surrounding counties such as Wiltshire and Devon for whom Bristol airport is too far. Southampton also offers a wide array of flights within the UK for those who need to head north to visit family and friends or to conduct business in some of the more northern regions of the country. Air and water are just the beginning with Southampton. Being on a number of great routes along the south coast for not just road but also train means that potential cruisers can get to Southampton with ease from most cities within the UK. Not only that, but Southampton’s routes by train often enjoy some heavily discounted advance tickets, making it easier for people who are going to take advantage of cheaper flights from their airport or their fantastic array of cruise destinations. One thing is for certain – Southampton is one of the best cities in the UK for travellers to get a good deal, so come check out how you can take advantage of the options available! So there you have a couple great ways Southampton helps keep the UK connected with the world at large. 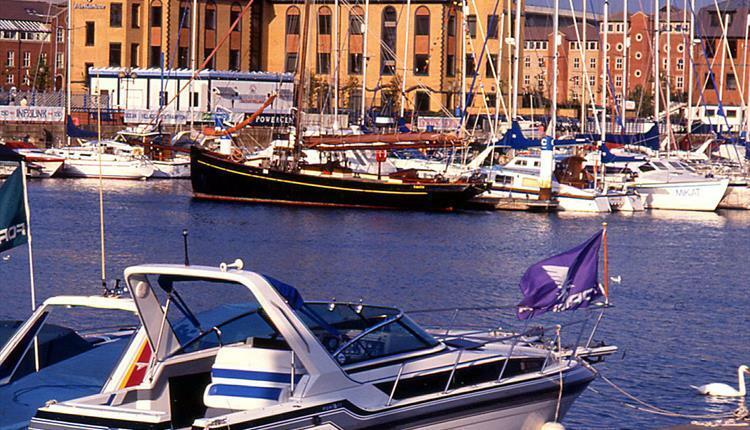 Whether you’re travelling by boat, air, train or car, Southampton continues to draw cruisers, fliers and more to the city with their lower prices and abundance of options to far flung, exotic destinations. Come see for yourself!